I really hope I'm not the only one who makes beginner mistakes! Let this be a lesson to all of you who are participating in the My Precious QAL, always double check your measurements!!!! I guess my epic fails are a little more 'epic' than yours are. :) Like, so bad, I can't take pictures of them without sobbing. Ah, well. There is always wine. 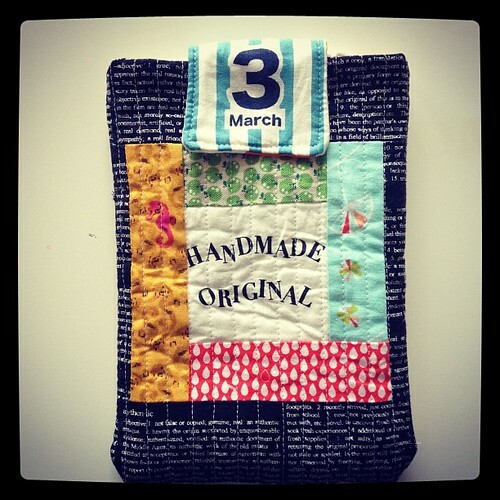 hehehe that's EXACTLY what I did when I made Neil's kindle case. 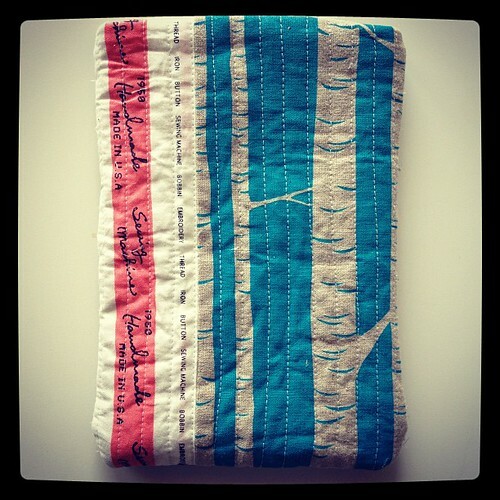 I'd used up all the cool vintage car fabric I had on it too. It's a lovely tool case anyway! But it's the studio space I can't get over. It looks so beautiful and orderly. I have a studio corner in my boys' playroom and, after looking at your photo I'm inspired to tidy up a little more often! 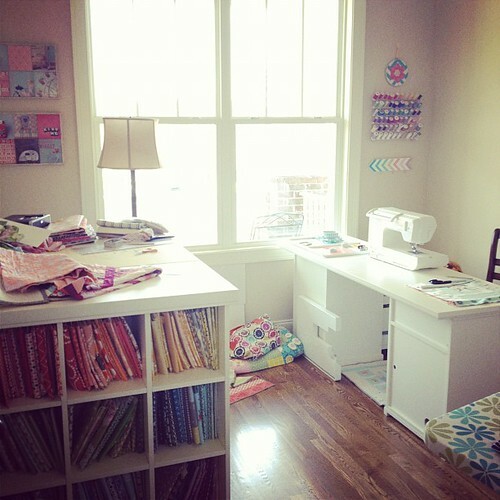 i got a little giddy looking at your sewing room and dreaming about having one for me someday. 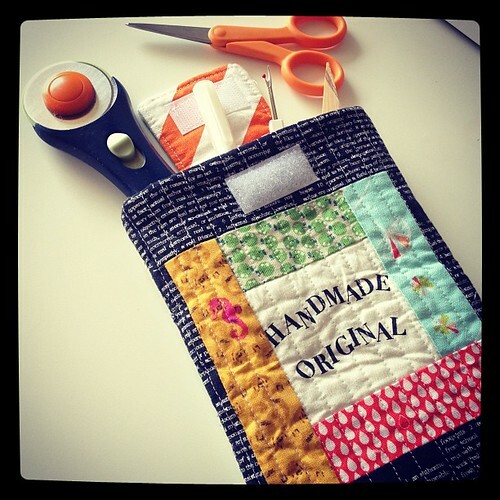 it is so pretty....mistakes happen...it does make a great tools pouch!!! love the quilt you got the binding on. pretty colors. But what a PERFECT tool holder! Those Kindles are sneaky little sods! I'm working on my own ipad case and keep checking and checking.. i'm so glad you were able to use the bag despite the oops! one day, i will have a sewing room... where i can spread out my quilts!! Oh no! I had the same thing happen when I made a case for my mum-in-law's ereader. It JUST squeezes in and seems to be stretching a bit with use. i hate it when that happens but it does work great for your tools!